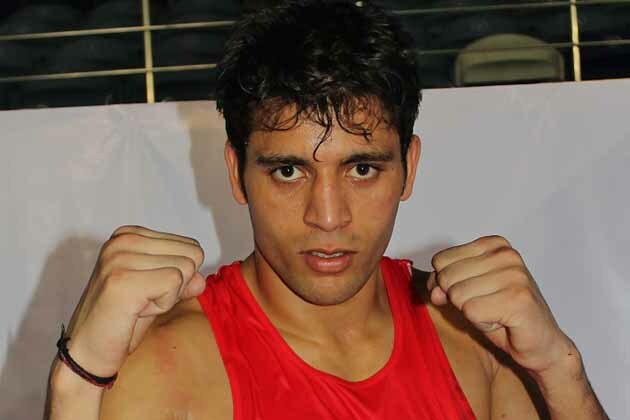 Sumit Sangwan qualify for London Olympics 2012 . Sumit Sangwan struck gold on Thursday to round off a brilliant performance by India in the Asian Olympic Qualifiers in Astana, Kazakhstan where the country bagged three London tickets to make it an unprecedented seven-strong contingent for the quadrennial extravaganza. The 19-year-old Sumit (81kg) beat Tajikistan's Dzhakon Qurbanov 14-9 to bag his maiden senior international gold in his debut event. Besides these two, Vijender Singh (75kg) also booked a London berth by making the semifinals of the last qualifiers for the July-August mega-event. Four Indian boxers -- L Devendro Singh (49kg), Jai Bhagwan (60kg), Manoj Kumar (64kg) and Vikas Krishan (69kg) - had already booked their Olympic berths in last year's World Championship.